Online Social Systems such as community forums, social media, e-commerce and gaming are having an increasingly significant impact on our lives. They affect the way we accomplish all sorts of collective activities, the way we relate to others, and the way we construct are own self-image. These systems often have both human and artificial agency creating what we call online hybrid social systems. However, when systems are designed and constructed, the psychological and sociological impact of such systems on individuals and communities is not always worked out in advance. 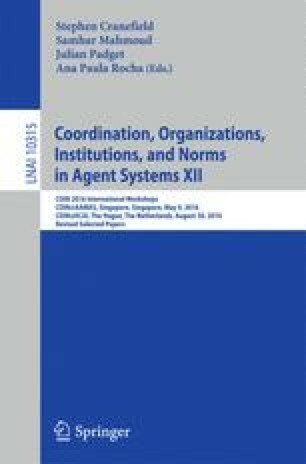 We see this as a significant challenge for which coordination, organisations, institutions and norms are core resources and we would like to make a call to arms researchers in these topics to subscribe a conscientious approach to that challenge. The authors wish to acknowledge the support of SINTELNET (FET Open Coordinated Action FP7-ICT-2009-C Project No. 286370). This research was partially supported by project MILESS (MINECO TIN2013-45039-P).